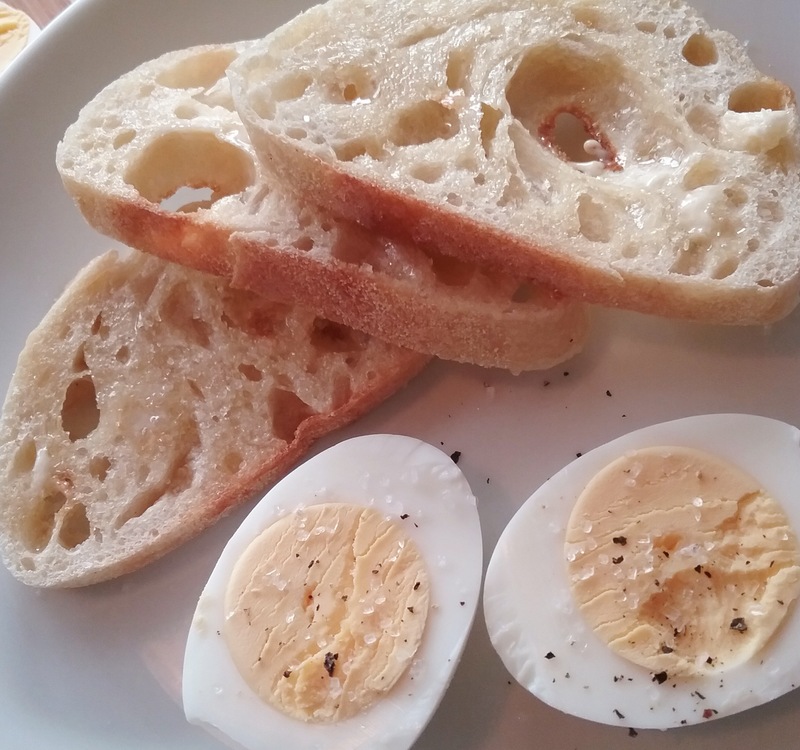 Posting another blog on how to hard cook an egg does seem a little silly. We have covered that territory before, and by now, most of us know how to boil an egg. It is more than dropping an egg into simmering water and cooking until done. Anyone who really appreciates a well prepared hard cooked egg likely has their own preferences, too. I am partial to an egg with a slightly soft yolk without a green rim from oxidation; a firm, but not rubbery white; and equally important, a shell that peels easily. A few years ago when my daughter presented me with an electric egg cooker I could not see its merit. I did not need another gadget; a saucepan and a little water works just fine. It took me a while, but I finally warmed to it for her sake, and I still appreciate its precision and convenience. Friends rant about how foolproof the Instant Pot is for hard cooking eggs. Well, fine, I have my egg cooker. Of course, that all changed the day I needed more hard cooked eggs than my tiny egg cooker could hold. Besides, I reasoned, who wants the angst of fretting over a carton of eggs that refuse to peel? 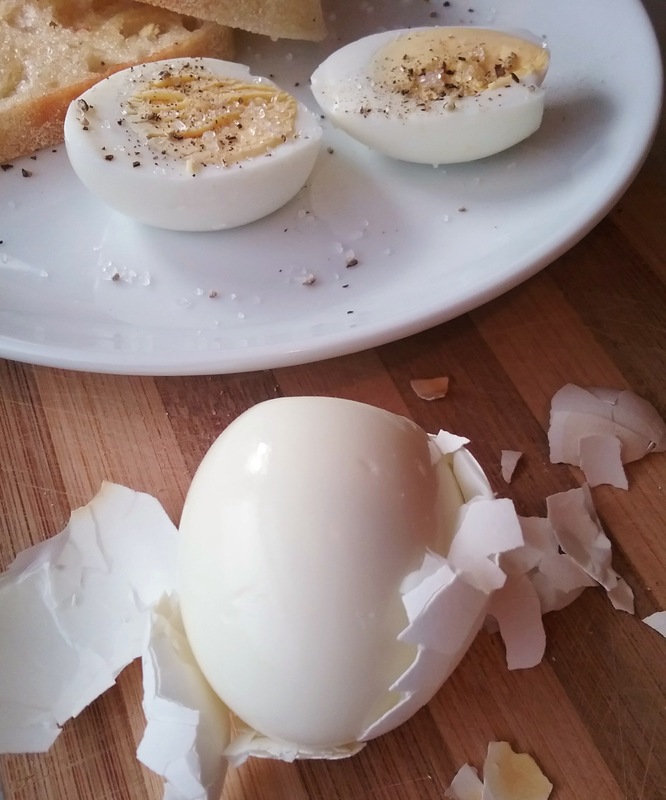 It may have something to do with the pressurized process of the Instant Pot, but the eggs peel like magic! It is fast. Within five minutes the eggs are done, without any exploding eggs or unnecessary drama. Give it an additional 3-4 minutes for natural pressure release, a fast flip of the valve for quick release of any remaining pressure, and into a cool bath they go—ready and waiting for a quick and painless peel. Sweet! For the record, here is one more solution for hard cooked eggs. Pour 1 cup water into the Instant Pot liner. Insert a raised rack and place eggs in pot. Seal lid and set steam valve to Pressure; set Pressure function to High, and set timer for 5 minutes. When complete, let Pressure Release naturally for 3 minutes, then set the steam valve to Vent and resume with Quick Release. Cool the eggs in cold water. If desired, chill further in refrigerator.